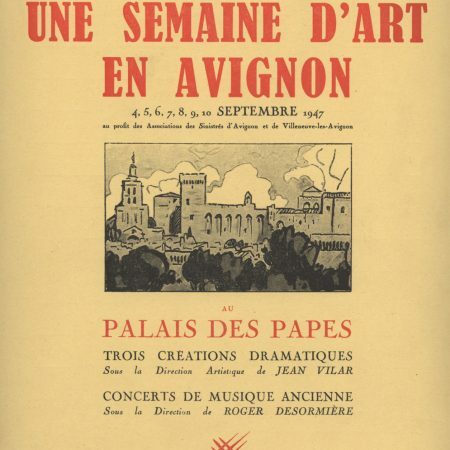 In September 1947, following an invitation by René Char and the Zervos couple, Jean Vilar premièred three new plays in three different venues in Avignon for Une semaine d’Art Dramatique (Dramatic Arts Week). 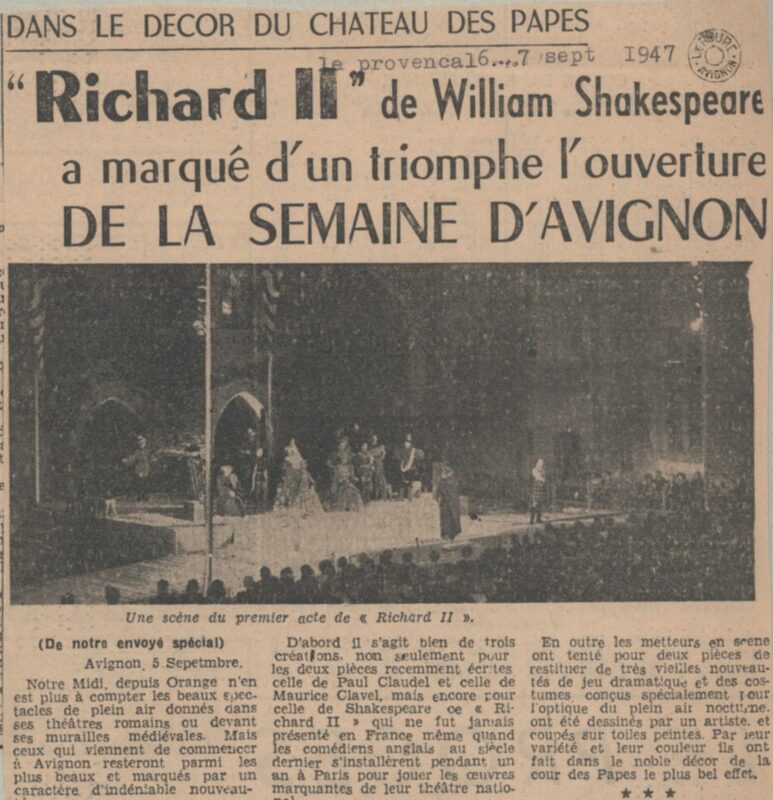 The Cour d’Honneur of the Pope’s Palace refurbished for the event, the municipal theatre, and the Verger Urbain V were the venues for the three plays: Richard II, at the time almost unknown to French audiences, L’Histoire de Tobie et de Sara (The Story of Tobie and Sara) by Paul Claudel and La Terrasse de Midi (The Noon Terrace), Maurice Clavel’s second play. 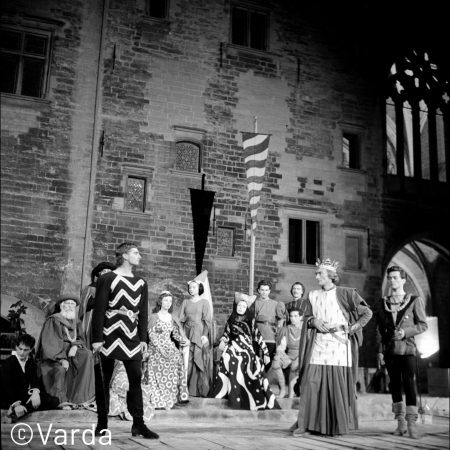 The Dramatic Arts Week continued every year until 1954 when it changed names, becoming the Festival d’Avignon. Jean Vilar assembled a troupe of actors for his creations: Alain Cuny, Michel Bouquet, Sylvia Monfort, Maria Casarès, Philippe Noiret, Jean Le Poulain, Jeanne Moreau… and the iconic Gérard Philipe. 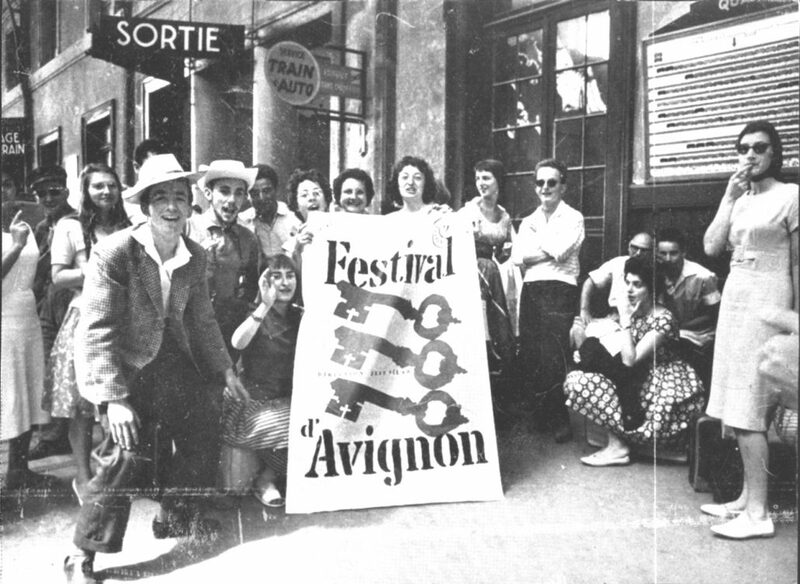 Summer after summer, they became part of the Avignon cultural scene, embodying the concept of people’s theatre developed by Jean Vilar: a high quality programme, classical authors and foreign playwrights often not well known in France, affordable prices for students, associations, charities, and workplace social committees. 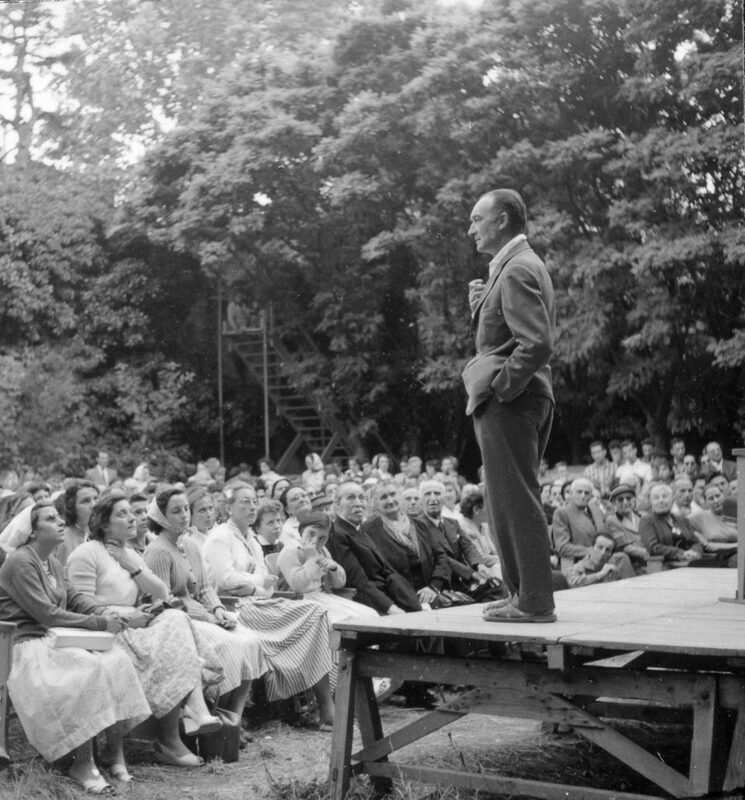 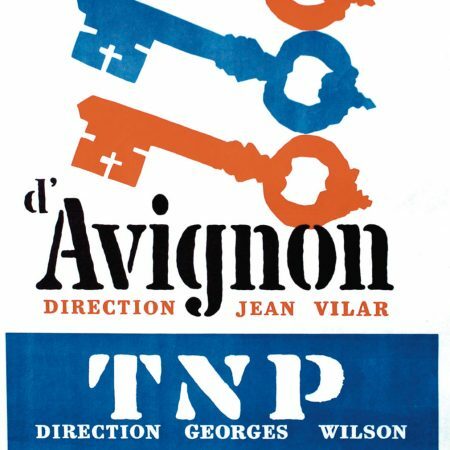 In 1963, Jean Vilar resigned as head of the TNP (Théâtre National Populaire) in order to devote himself entirely to the direction of the Festival d’Avignon. 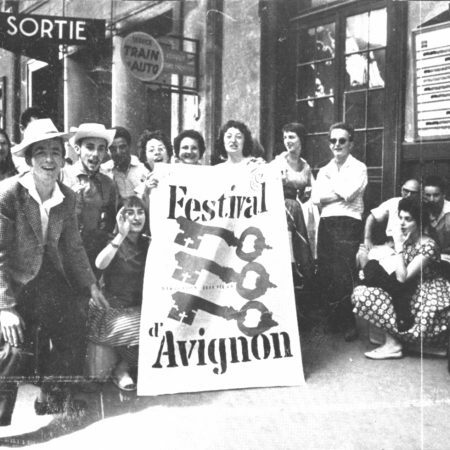 In 1964 he created the Rencontres d’Avignon, a space for professional artists, political figures and members of the public to meet and debate cultural policies. 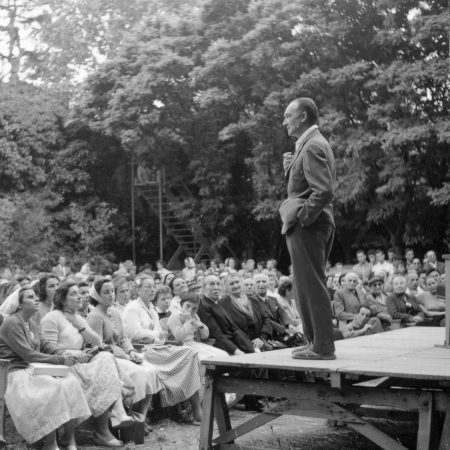 He opened up the Festival to other artistic forms: dance, music and cinema. 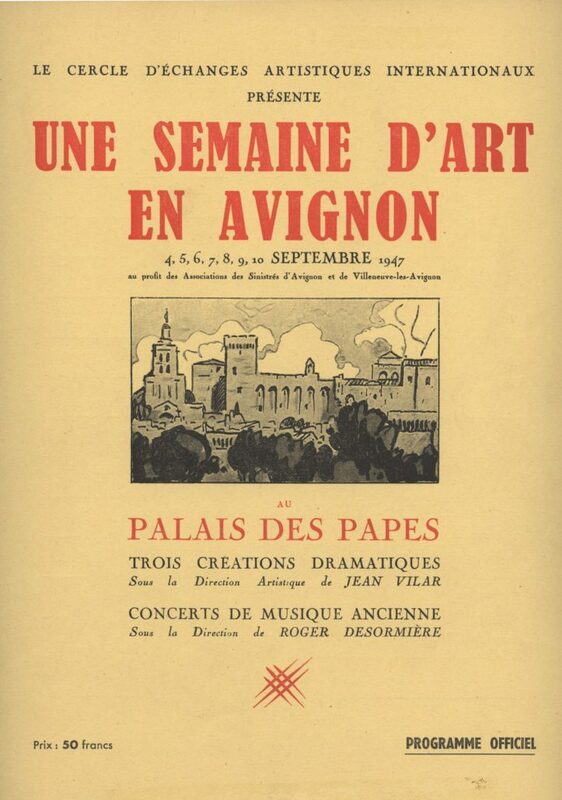 Jean Vilar remained artistic director of the Festival d’Avignon until his death on 28th May 1971.